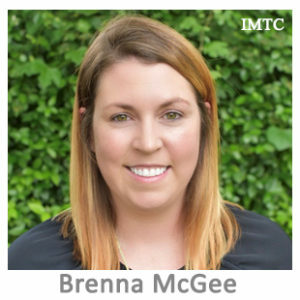 Brenna McGee is an associate in the Austin, Texas office of Dykema. She counsels state and national banks, financial technology (fintech) companies and other financial institutions and financial services providers on a broad range of matters related to payments, virtual currencies, technology and financial services, with a focus on regulatory and compliance issues. She also advises retailers regarding mobile payments, digital commerce, mobile wallets, stored value products, and privacy and data security matters. Brenna advises fintech companies, money transmitters and alternative payment providers on the permissibility and structure of new activities, including conducting due diligence reviews; analysis of federal money services business registration and state money transmission licensing requirements; and preparing customer-facing documentation and disclosures. She assists banks and other financial institution clients with a variety of regulatory and corporate matters, including the preparation of regulatory applications and notices; digital, mobile banking and deposit products; mergers and acquisitions; treasury management and payment processing arrangements; and technology, outsourcing and vendor contracts. Brenna also represents banks and fintech companies in government investigations and enforcement actions. Prior to joining Dykema, Brenna was an Assistant General Counsel at the Texas Department of Banking, where she developed her expertise in money transmission, currency exchange, and bank and trust matters. Brenna is a member of the Texas Bankers Association’s inaugural “Future of Banking” Task Force. She previously served as the Chair of the Financial Institutions Section of the Austin Bar Association.